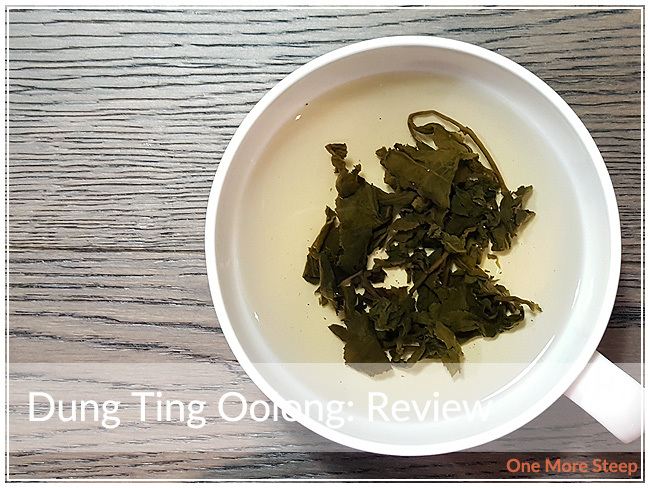 Golden Tea Leaf has provided me with Dung Ting Oolong – Traditional for the purposes of providing an honest review. 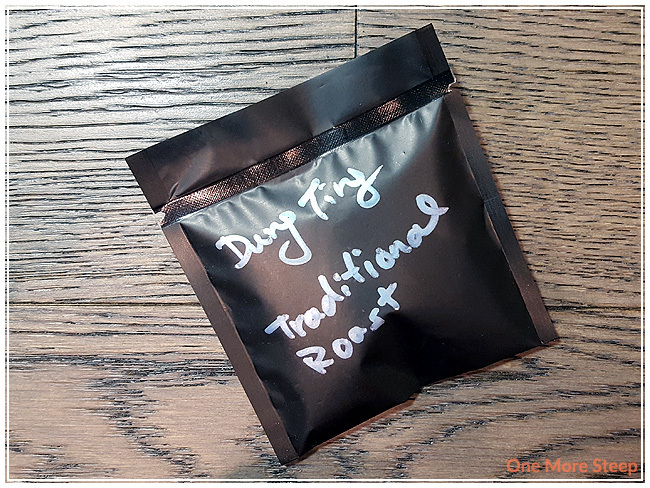 I got a small sample packet of Dung Ting Oolong – Traditional roast from Golden Tea Leaf. There isn’t really anything remarkable about the packaging. I love a good oolong, so I was really looking forward to trying this one from Golden Tea Leaf! The dry leaf is mostly a dark brown with some golden parts to the leaf. There’s an overall nutty aroma with mild vegetal notes. Generally, I find that it reminds me of chestnuts. The leaves are rolled tightly. Like with most of my rolled teas, I don’t use a full spoonful because I know that the leaves will expand a lot when I’m steeping the tea. Golden Tea Leaf recommends steeping Dung Ting Oolong – Traditional at 95°C (203°F) for 2 minutes (initial steep), 2-5 minutes (for all subsequent steeps). My initial steep was for 2 minutes. 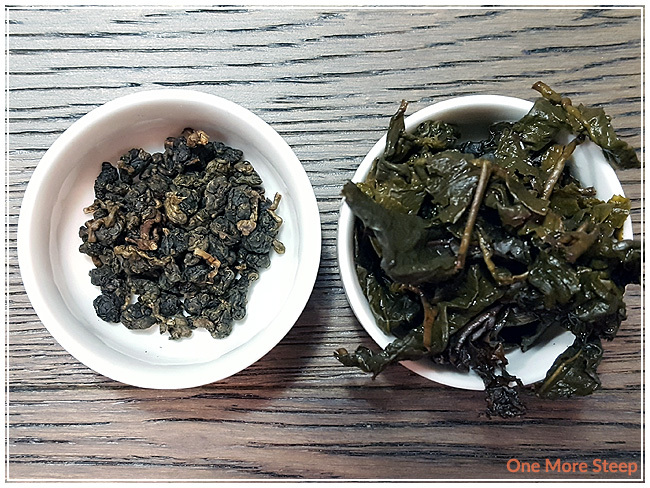 Dung Ting Oolong steeps to a beautiful golden yellow in a short period of time. There’s a nutty aroma to this tea, with a slight sweetness in the background. When I sip this tea, I note sweet plum flavours as well as some earthy mushroom flavours. I really like the differing flavors, it adds a level of complexity to this tea that’s a pleasure to drink. I resteeped Dung Ting Oolong a total of four times, adding an extra 30 second per subsequent steep. 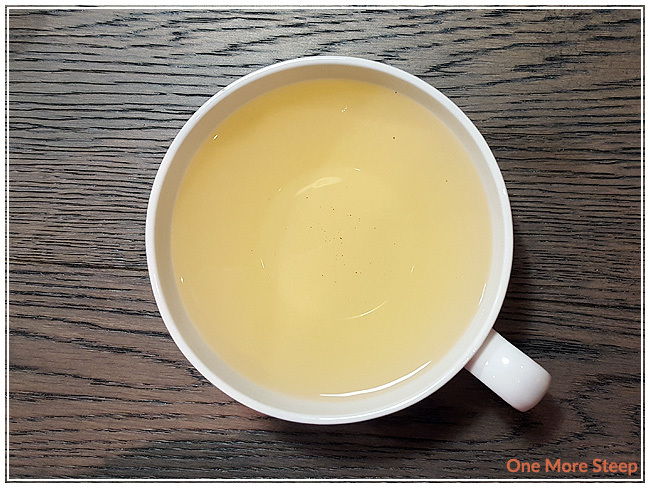 I found that the oolong became a darker golden yellow with each steep. The plum flavours become stronger while the earthy flavours start to subside by the second resteep. There’s a mild astringency at the end of each sip that I didn’t find in the initial steep. 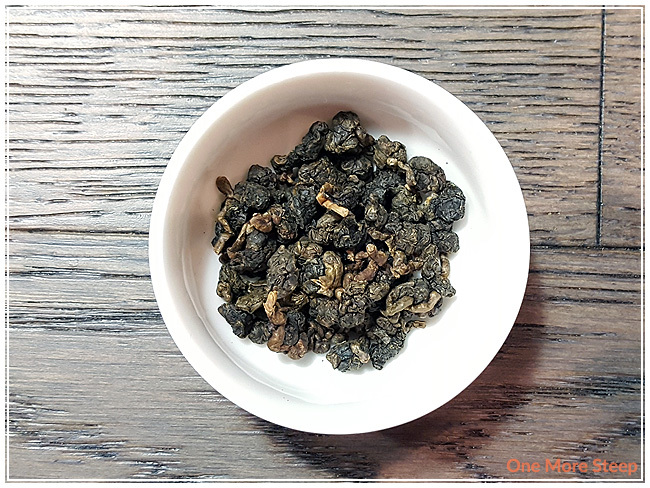 I liked Golden Tea Leaf’s Dung Ting Oolong – Traditional. I found this oolong to be quite enjoyable in it’s initial steep. The plum flavour is delicious, and I really enjoyed the earthiness of the mushroom flavours. For me, the initial steep was more enjoyable than the other steeps of the same leaves because of that astringency I noted with the subsequent steeps.